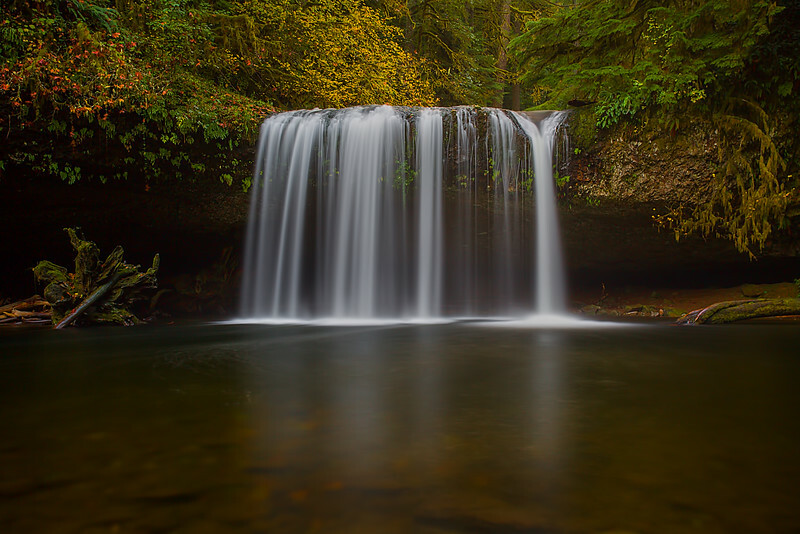 Upper Butte Falls displays four veils in mid-October. It is 26 ft high, 30 ft wide, and is a favorite for kayakers in the Winter and Spring. Amazing colors - I could look at this waterfall all day! Great soft light, silky flow, and warm tones! Wonderful shot! I love the light and the water motion. Good use of a slow shutter speed to makek the water silky! This is a lovely shot, beautiful place.